REFUND POLICY: All sales are final. Unopened product may be exchanged for an equal or greater value product. Exchanges are only valid in-store. Please contact us if an item(s) is damaged during transit. Please provide photos of damaged product so we can supply to FEDEX. 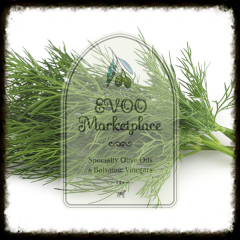 PHONE ORDERS: EVOO Marketplace takes every step to protect your credit card information. As of January 1, 2014 we no longer accept phone orders as there is no viable way to cross reference credit card information with provided billing address. This is for your protection and to prevent fraud. 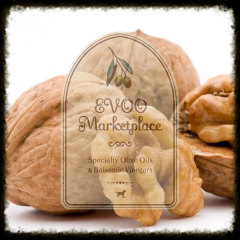 Please place all orders using our online store: evoomarketplace.com/evoo-store. SHIPPING AND DELIVERY POLICY: Orders placed Monday-Friday (prior to noon) will ship within two business days excluding weekends. Credit Card authorization and verification must be received prior to processing. 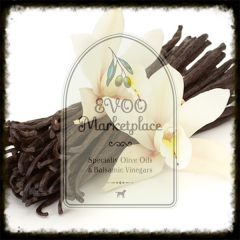 EVOO Marketplace uses FEDEX Ground for all shipments. Typical delivery times are between 5-7 days or up to 10 days during holidays. FEDEX Ground deliveries occur Monday through Saturday excluding holidays. Expedited shipping is also available at a higher cost. Please select 2 Day shipping during checkout if you desire this shipping method. Sorry but we cannot ship to P.O Boxes. Please contact us if an item(s) is damaged during transit. SPECIAL NOTE ON CORKS-PROPER CORK MAINTENANCE: First and most importantly don’t panic, it will be ok. We like to use the phrase “Balsamic + Cork + Glass = Glue” We bottle all products in-store and use corks to seal off the bottles. By nature, balsamics contain small amounts of sugar from the grapes and therefore may become sticky. Also, by nature cork is not an indestructible material. Simple cork maintenance is especially important to prevent sticking and/or breaking. Please follow these simple tips when reseating the cork after use: 1. Rinse cork off with warm water and wipe dry between uses, 2. Do not push cork all the way back into bottle, 3. Wiggle cork back and forth to insert or remove from bottle, 4. Use a cork alternative such as a pouring spout (eliminates the need to remove cork during each application. Don’t panic, if the cork becomes stuck just use a corkscrew to remove just as you would with a wine cork. 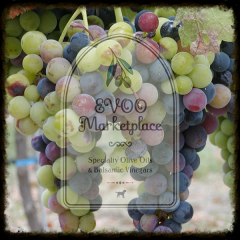 EVOO Marketplace is not responsible for broken/stuck corks after the product has been opened and used. WHAT INFORMATION DO WE COLLECT? : We collect information from you when you register on the site, place an order, enter a contest or sweepstakes, respond to a survey or communication such as e-mail, or participate in another site feature. When ordering or registering, we may ask you for your name, e-mail address, mailing address, phone number, credit card information or other information. You may, however, visit our site anonymously. We also collect information about gift recipients so that we can fulfill the gift purchase. The information we collect about gift recipients is not used for marketing purposes. Like many websites, we use “cookies” to enhance your experience and gather information about visitors and visits to our websites. Please refer to the “Do we use ‘cookies’?” section below for information about cookies and how we use them. HOW DO WE PROTECT VISITOR INFORMATION? : We implement a variety of security measures to maintain the safety of your personal information. Your personal information is contained behind secured networks and is only accessible by a limited number of persons who have special access rights to such systems, and are required to keep the information confidential. When you place orders or access your personal information, we offer the use of a secure server. All sensitive/credit information you supply is transmitted via Secure Socket Layer (SSL) technology and then encrypted as it is passed through Authorize.net during authorization. 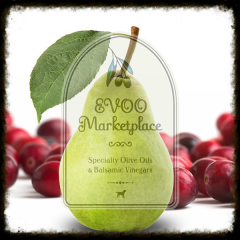 EVOO Marketplace does not have access to credit card numbers nor are they stored in our databases. DO WE DISCLOSE THE INFORMATION WE OBTAIN TO OUTSIDE PARTIES? : We do not sell, trade, or otherwise transfer to outside parties your personally identifiable information unless we provide you with advance notice, except as described below. The term “outside parties” does not include EVOO Marketplace. We may release your information when we believe release is appropriate to comply with the law, enforce our site policies, or protect ours or others’ rights, property, or safety. HOW CAN YOU OPT-OUT, REMOVE OR MODIFY INFORMATION YOU HAVE PROVIDED TO US? : To modify your e-mail subscriptions, please follow the “unsubscribe” link at the bottom of any email. You will be guided through the steps to remove your email. Please keep in mind if you decide to subscribe again in the future to our emails you will have to provide an email address different than the original. Please note that due to email production schedules you may receive any emails already in production. QUESTIONS AND FEEDBACK: We welcome your questions, comments, and concerns about privacy. Please contact us at info@evoomarketplace.com with any and all feedback pertaining to privacy, or any other issue.